Happy Saturday everyone! It’s been raining a lot since we got back, I miss Florida’s beautiful sunny weather. Destin is our favorite place to get away for the summer and it’s my tradition to stop by this great shopping center for a girls day every year. They have a spa, a gift shop, and my favorite boutique Kiki Risa! I love everything in this store, my favorite are their beach hats and I had to pick up a few for the trip since the sun can get pretty brutal. 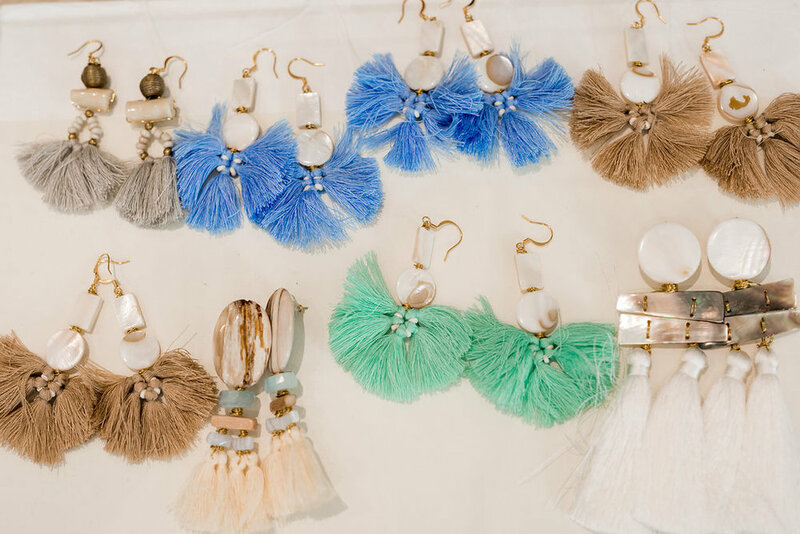 They have stunning colorful accessories and clothing perfect for Florida weather! Here is my favorite outfit for the whole trip. I’m wearing my favorite Prose & Poetry top, it is such a unique design and I love the bows on the shoulder and peach color against my tan. I paired it with Kiki’s lovely white brimmed hat and some Lokalwear flower earrings. If you’re ever in the area and need a “me day” or a last-minute outfit for an event, this is the place to go. The staff are also super helpful and nice, special thanks to them for letting me use their stunning space to snap some photos. Next time you’re in Florida, check ‘em out!